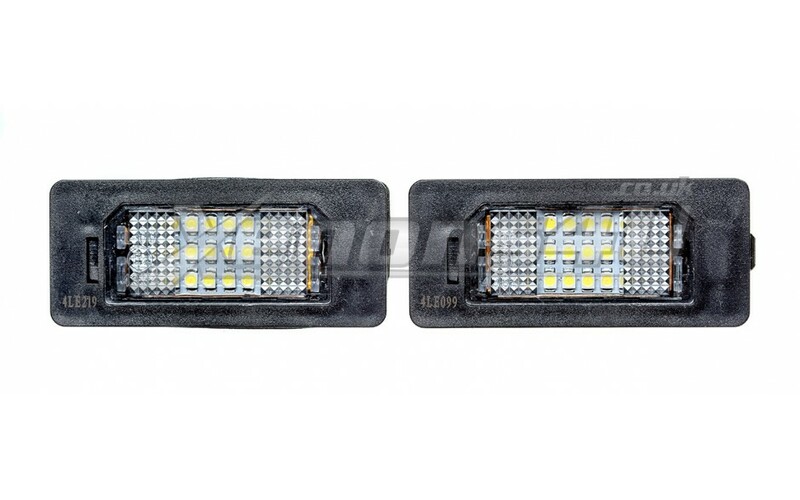 BMW E60 E61 F10 F11 E90 E91 E92 F93 LED Number Plate Lights to replace faulty light units or upgrade to super bright white colour. BMW number plate lights fit LCI Facelift cars as well. You will receive 1 pair, for left and right side. 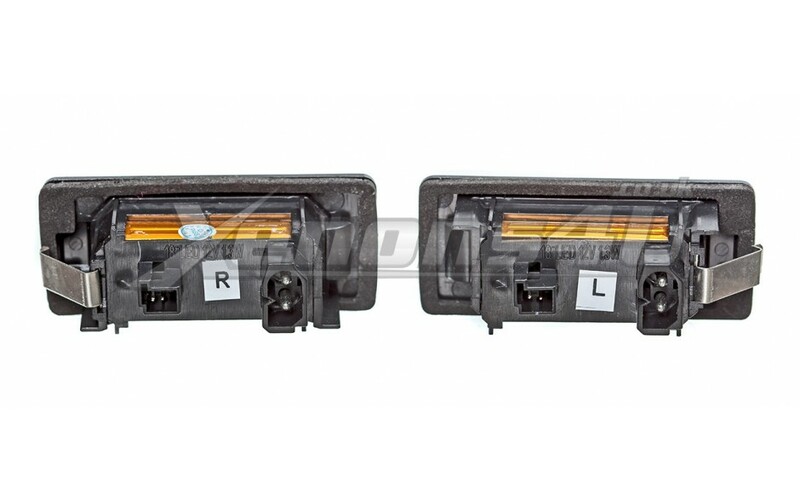 BMW 3 Series E90 E91 E92 E93 Reg number plate light lamps are the highest quality upgrade lamps you can get for your number plate lighting. 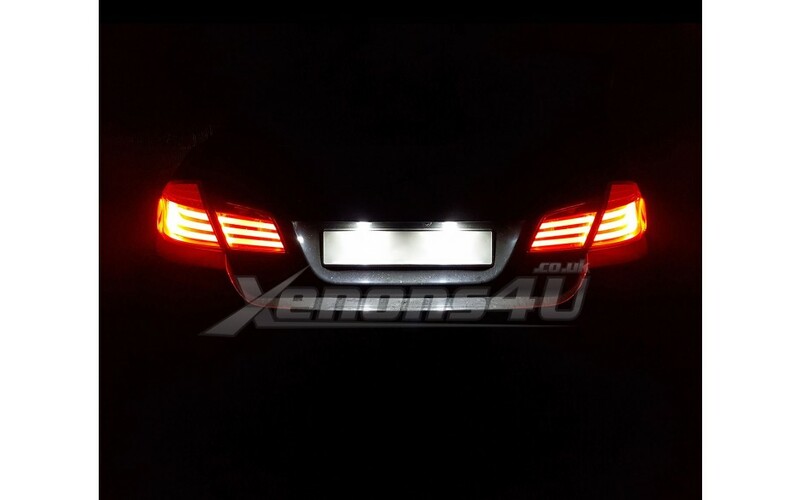 It is extremly bright, enegery saving and additionally it will give brand new modern look to your car. BMW 5 Series E60, E61, F10, F11 Rear LED registration license plate installation is very easy and will take around 5 minutes for each side, just pop out old units and put these back. Additionally light units have built-in resistors, which will help to avoid annoying on-board computer errors. Our light lamps are compatible with factory fitted halogen or LED number plate lamps as it has two connectors for both options.